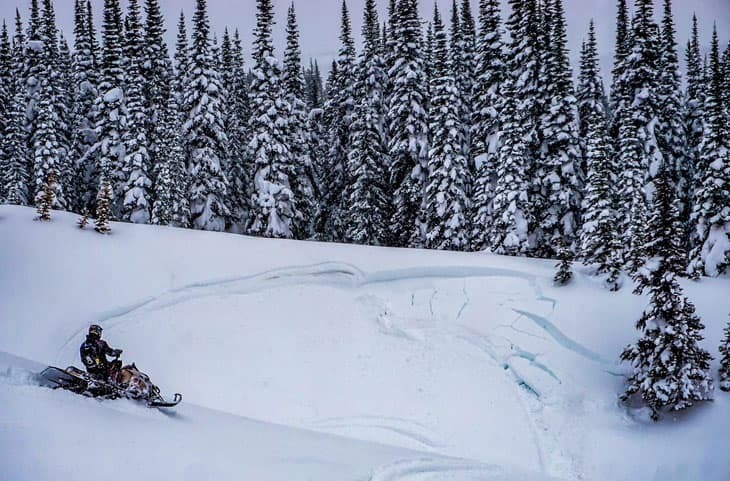 On the proverbial scale of fun, sledding ranks pretty high most days. There are basically three types of fun you can have: ‘Type 1’ fun—fun the entire time you are doing it (e.g. birthday party); ‘Type 2’ fun—miserable when it’s happening but still fun in retrospect (e.g. spouse’s Christmas party); and ‘Type 3’ Fun—no fun at all (e.g. search party). So, how does it all go down when ‘Type 3’ fun knocks on your door? 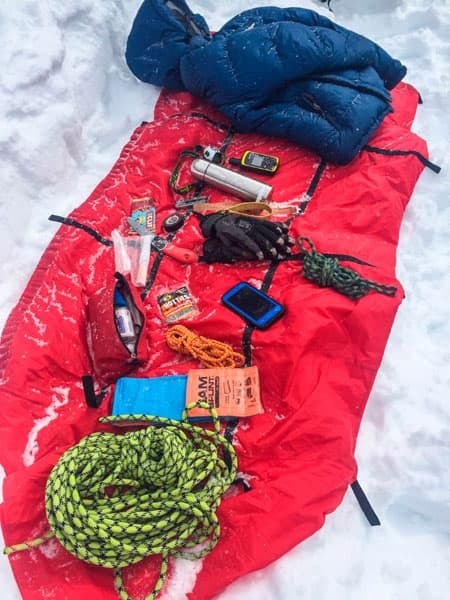 Here’s the anatomy of a search and rescue call out, and how it all plays out. 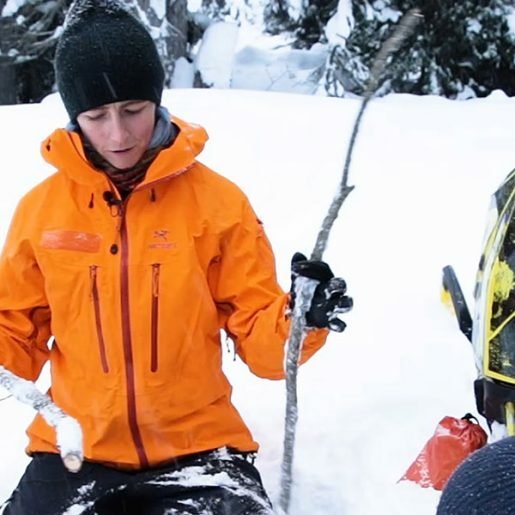 In British Columbia, backcountry emergency services are provided free-of-charge. Yes, FREE. 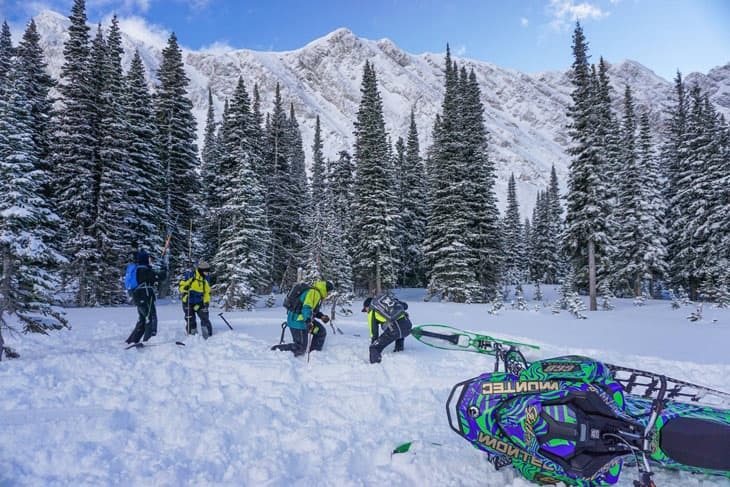 Services are provided by the more than 80 different regional search and rescue (SAR) groups in BC. 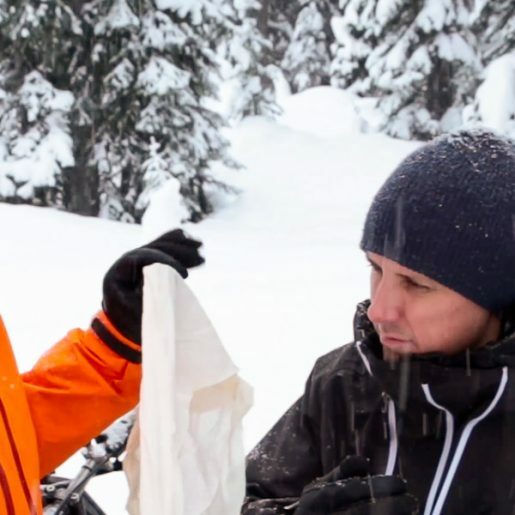 In total, there are over 2500 professional volunteers in BC SAR. The RCMP hold oversight of all ground emergency response in the province other than in National Parks. Requests for assistance may come from an emergency locator beacon S.O.S. signal, a call from persons on scene or from a loved one at home via 911. 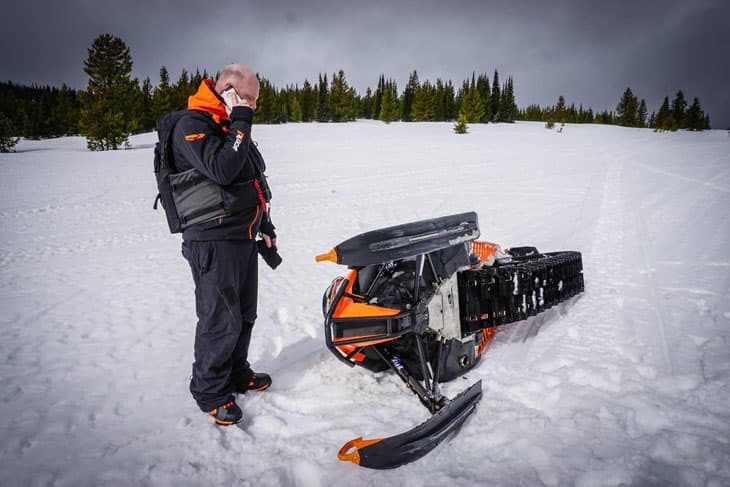 Cell service is limited in mountain riding areas, so a satellite-based backup communication device such as in inReach, Spot, or satellite phone can provide a valuable life-line with the outside world. Leaving a trip plan at home with a reliable person that includes an agreed upon action plan in the event you are overdue is also recommended. 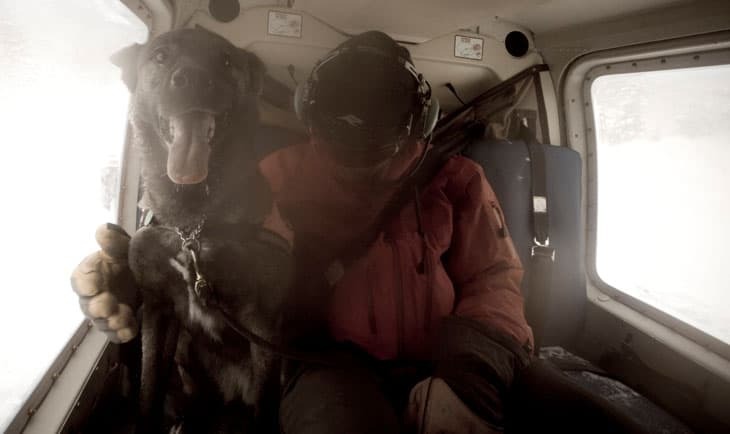 Under a provincial mutual-aid agreement, the local RCMP detachment will ‘task-out’ response to a regional SAR group specially trained for these scenarios. You may be contacted back by either organization to provide further information if you are able to communicate. For this purpose, a power-pack or spare set of batteries may prove useful as cold weather can drain devices rapidly. DO NOT WAIT UNTIL IT IS TOO LATE TO ASK FOR HELP. 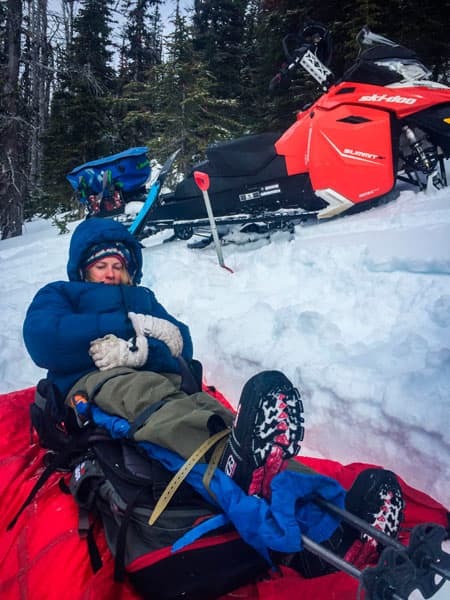 Delays may complicate rescues by reducing available daylight hours, cascading medical problems or pushing response further into advancing bad weather. SAR Managers frequently dispatch a small initial strike-team to respond rapidly via helicopter, which resolves most responses within a short period of time. 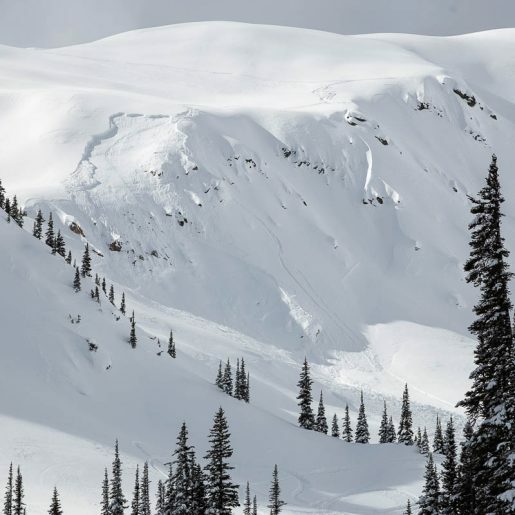 This rapid-deployment unit will include an avalanche technician, a medical responder, and an avalanche search dog team or other expertise. Victims can increase the chance of positive outcome. 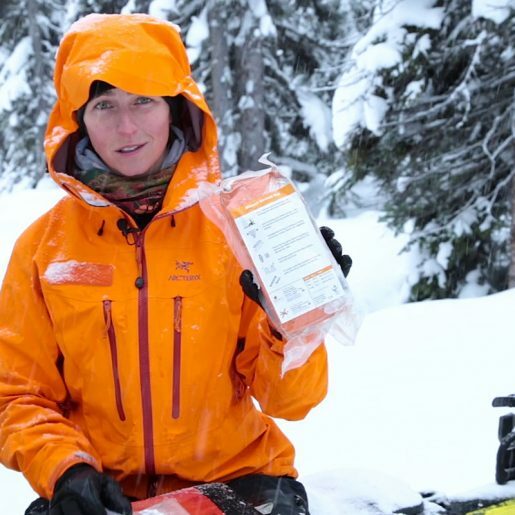 Ensure your group has the knowledge and equipment to carry out a companion avalanche rescue, perform basic first aid, and construct a shelter or fire to ward off hypothermia until professional help arrives. Unless it’s not safe to do so, stay where you are and make yourself easily ‘findable’ to rescuers. In the best circumstances, the SAR team will stabilize, package and transport any injured persons off-scene quickly. However, complex incidents could require additional resources to be ferried to site. An overnight stay until more favourable conditions exist might be required. 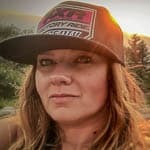 A good way to be prepared for misadventure is to plan for it by expecting to spend an unintended night outdoors every time you leave the staging area. The incident is not over when all persons are back home. Remember to continue to take care of yourself and those involved. Be sure to acknowledge physical and emotional fatigue associated with the event. Persons involved in an incident may wish to speak with a counsellor to help manage feelings of grief or anxiety following the event. You can’t always keep trouble from visiting, but you don’t have to offer it a rocking chair. 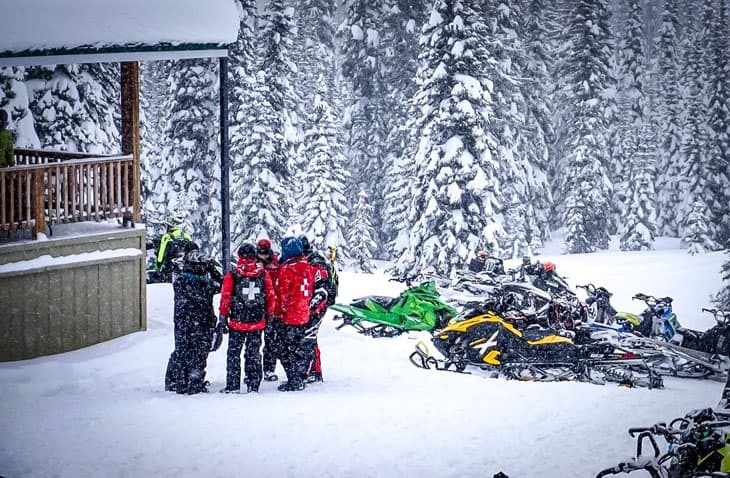 This winter ensure your sled group is prepared enough to ride alone, smart enough to know when you need help and brave enough to ask for it.